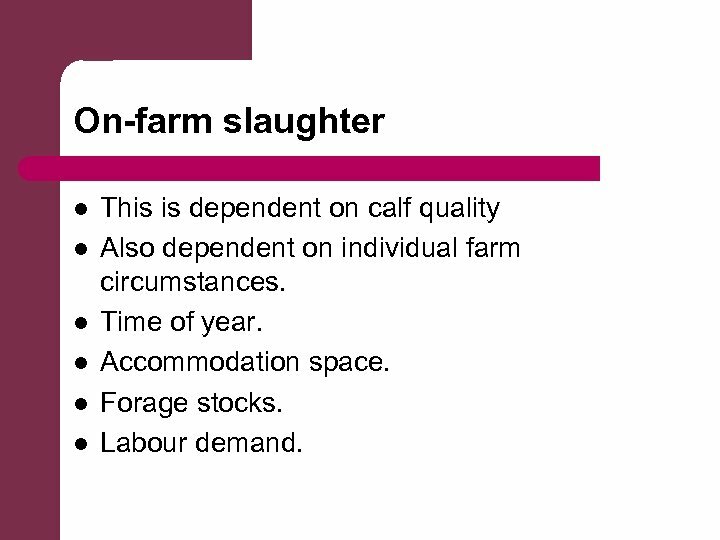 On-farm slaughter l l l This is dependent on calf quality Also dependent on individual farm circumstances. Time of year. Accommodation space. 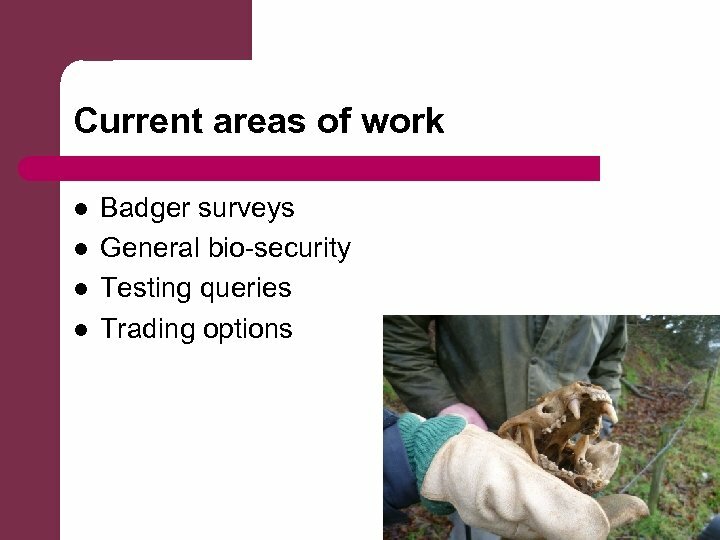 Forage stocks. 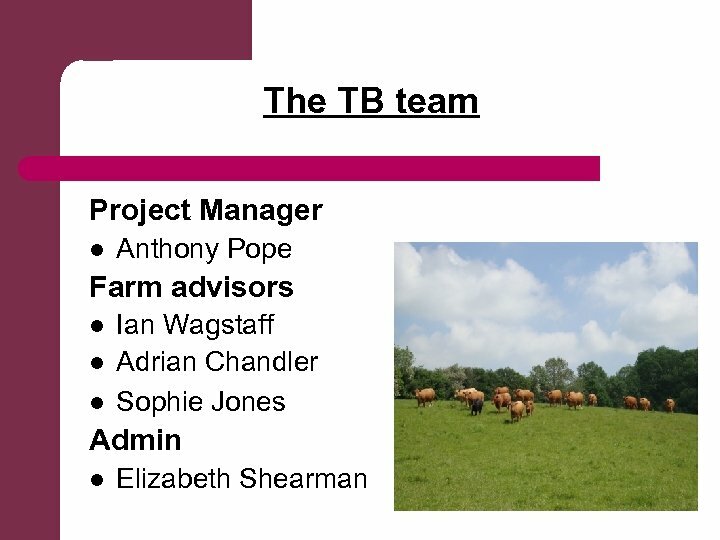 Labour demand. 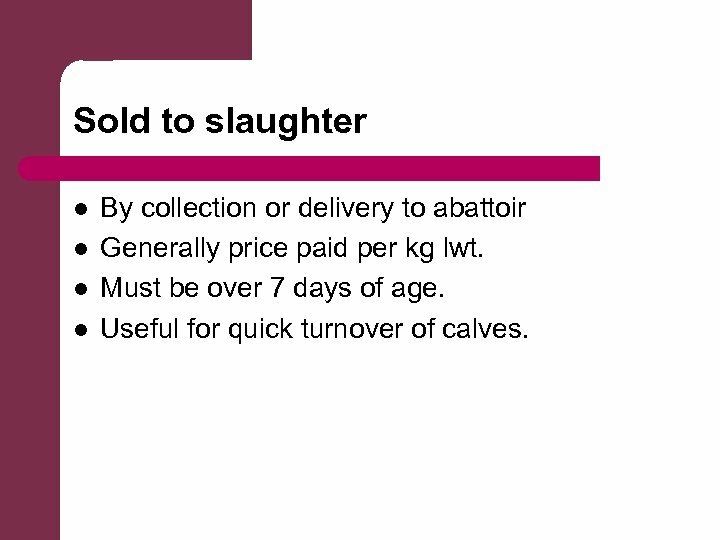 Sold to slaughter l l By collection or delivery to abattoir Generally price paid per kg lwt. Must be over 7 days of age. 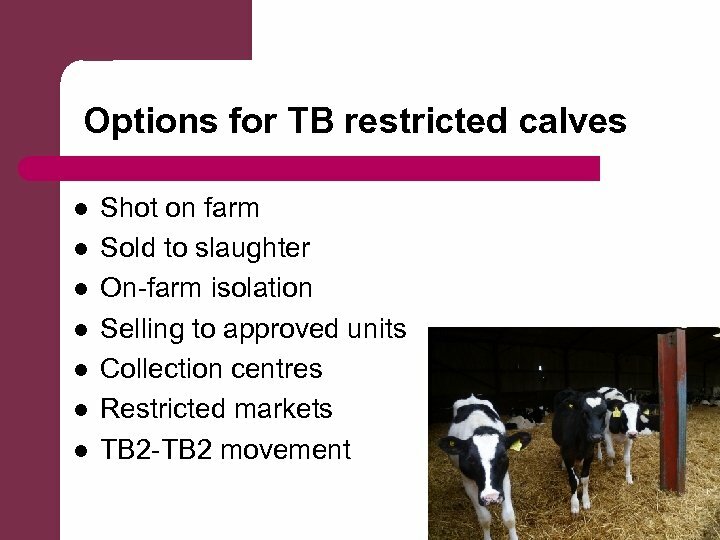 Useful for quick turnover of calves. 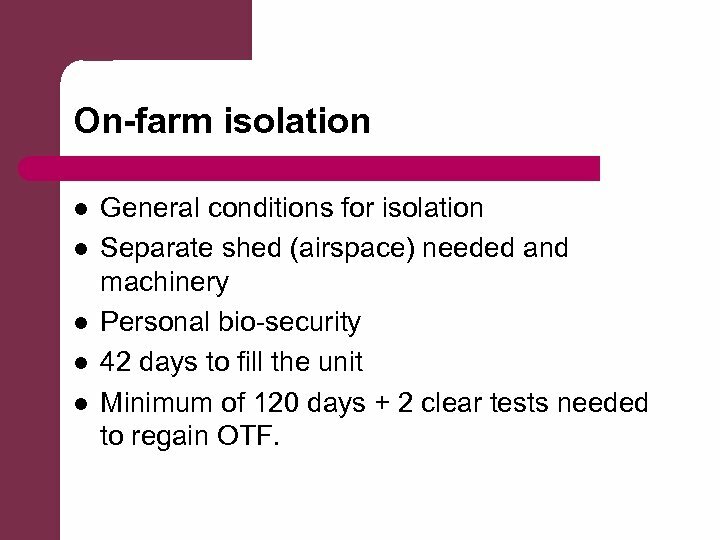 On-farm isolation l l l General conditions for isolation Separate shed (airspace) needed and machinery Personal bio-security 42 days to fill the unit Minimum of 120 days + 2 clear tests needed to regain OTF. 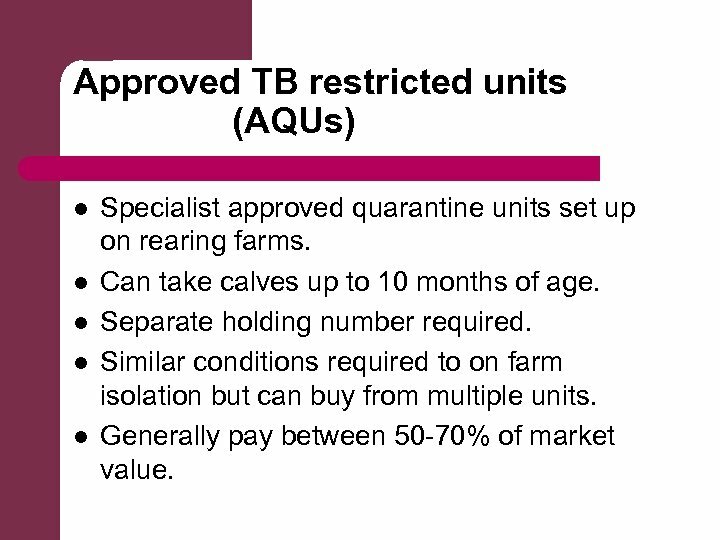 Approved TB restricted units (AQUs) l l l Specialist approved quarantine units set up on rearing farms. 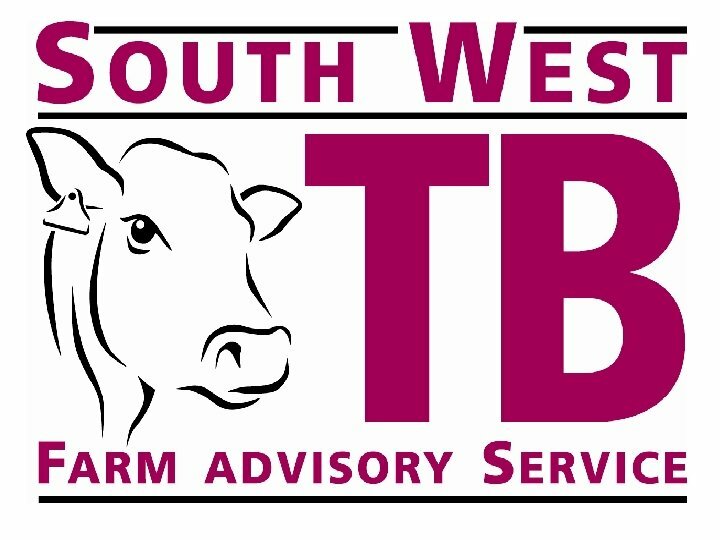 Can take calves up to 10 months of age. Separate holding number required. 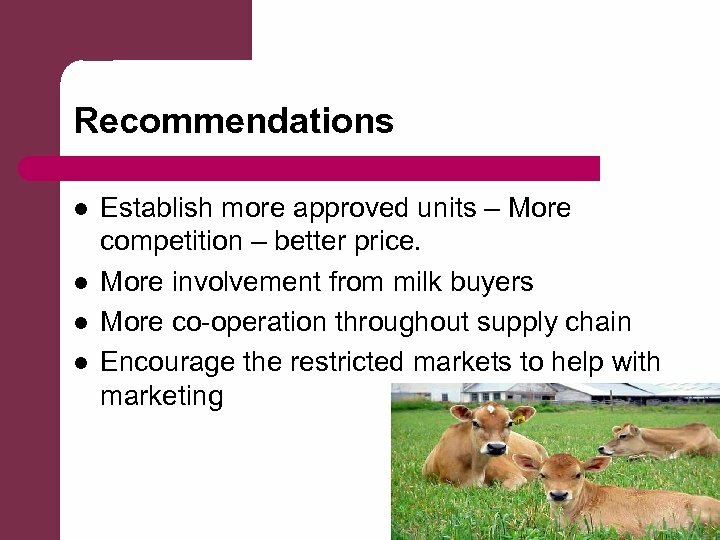 Similar conditions required to on farm isolation but can buy from multiple units. 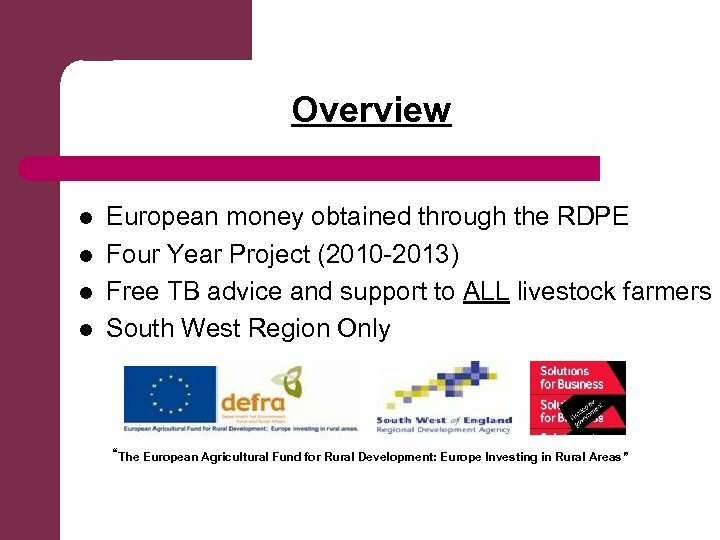 Generally pay between 50 -70% of market value.